Matthew opens with a simple statement of who Jesus is (the Messiah), and closes with a simple statement of what we should do (make disciples for Him). Unlike John, Matthew doesn’t state his purpose explicitly. However, his opening verse makes it very clear what this book is about: Jesus, the Messiah, the son of David, the son of Abraham. 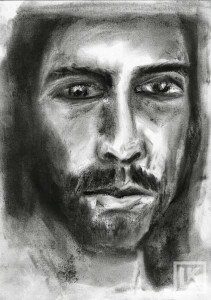 The rest of this Gospel presents evidence of who Jesus is. 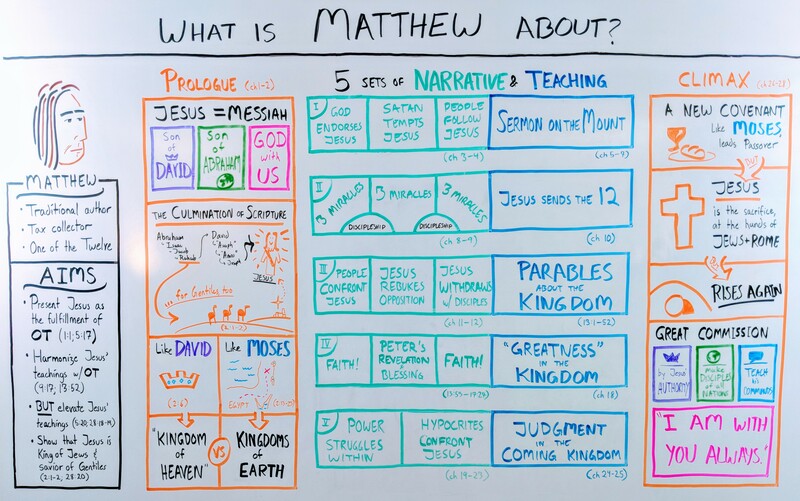 Matthew is a phenomenal work of literature, arranged in a way that presents Jesus as the ultimate Jewish hero: the Messianic son of David, the prophet who surpasses Moses, and the seed of Abraham that blesses all the nations. These big themes are introduced in the book’s prologue, explored in the large middle section, and then resolved in the climax. 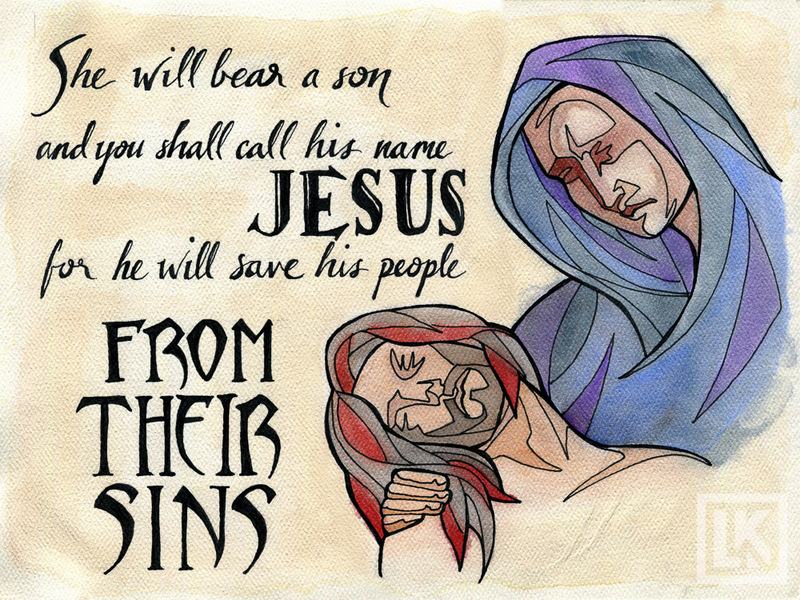 Bible verse art by Laura Kranz.